We're proud to offer an extensive array of services! MOST Construction is a residential construction and remodeling company, headquartered in Carlsbad, CA. Owner Morten Kruse has over 30 years of experience, focusing on high quality installation and customer service. MOST Construction places the utmost care and quality in every project completed. Each project is directly supervised by Morten, who continually strives to provide the most efficient, most effective service and installation possible. MOST Construction employees and subcontractors are highly trained and experienced, committed to safety and continue to develop their skill sets in all areas of construction. Morten was born in Denmark, immigrating to California in 1988. Raised on a Danish dairy farm, he earned his degree in Agriculture Operations before moving to the US. Thereafter, he spent many years renovating Victorian houses in the Santa Ynez Valley - often relocating entire houses before renovation began! 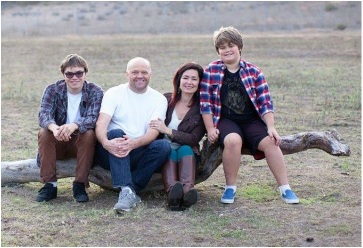 Morten and his family moved to the San Diego area in 1994 and shortly after he joined the EXPO Design Center team. In 2004, he acquired his General Contractors license and the rest is history! He currently resides in Carlsbad with his wife Pernille and two boys, Mathias (23) and Thomas (14). Quality and craftsmanship come from decades of instruction and practical hands-on experience. Each of our team members are highly skilled in their areas of expertise. The cost and value of quality is well illustrated in one of our favorite stories below.